Could there be a better Mardi Gras moment? Rebecca Schick said she was totally taken by surprise when her boyfriend Anthony Lisgo, a rookie Third District NOPD officer, dropped to a knee and proposed as she prepared to perform with the Muff-A-Lotta dance troupe in the Mystic Krewe of Nyx parade on Wednesday. It probably goes without saying that she accepted the dashing officer’s proposal. Schick admits she was a little distracted during Wednesday’s routines, but she was “smiling the whole time.” Watch the video from the New Orleans Police Department’s Facebook page below. The Muff-A-Lottas are named for the much-loved muffaletta sandwich, an over-stuffed Italian cold cut loaf. The dancers costume as vintage diner waitresses. Their theme may include a whisper of double entendre. Schick said wedding bells may ring as soon as the fall of 2019. 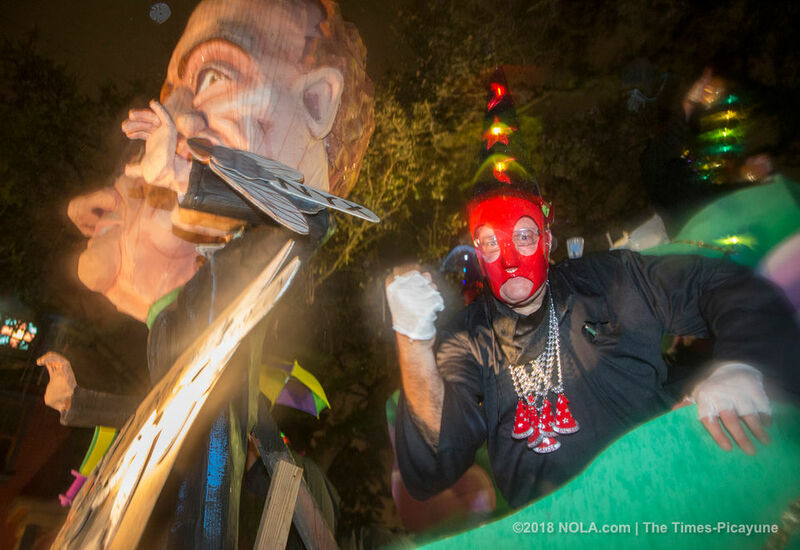 Doug MacCash has the best job in the world, covering art, music and culture in New Orleans. Contact him via email at dmaccash@nola.com. Follow him on Twitter at Doug MacCash and on Facebook at Douglas James MacCash. As always, please add your point of view to the comment stream.